The Northern Powerhouse Investment Fund (NPIF), delivered by British Business Bank, has invested £25m in ambitious, high-growth SMEs in Greater Manchester, to support expansion and job creation in the region. Since its launch in February 2017, NPIF has delivered Equity Finance, Debt Finance, and Microfinance solutions, from £25,000 to £2m to businesses across the 10 Local Enterprise Partnerships (LEP) that make up the ‘Northern Powerhouse’ region. To date, NPIF has completed 90 investments in Greater Manchester-based SMEs across a range of sectors. The region’s strength in the technology space and its manufacturing heritage was reflected in the investment figures, with over a third of the £25m total going in to these businesses. Notable transactions include a £200k investment in Salford-based Safeway Contractors Limited, which provides infrastructure support and recruitment, such as mechanical fitters, plant operators, track gangs and critical safety staff to the railway industry. The investment from NPIF - FW Capital Debt Finance has been used to strengthen Safeway’s team to support its rapid period of growth, including the recruitment of 11 new staff members. NPIF also completed a follow-on investment of £350k into the existing investee company Access Systems (UK) Limited. NPIF provided an initial £1m to the Manchester-based fintech firm in March 2018 through NPIF – Maven Equity Finance, and the company has since raised a further £9m from US venture capital firms. NPIF’s follow-on investment will support the business as it looks to expand its operations during 2019. 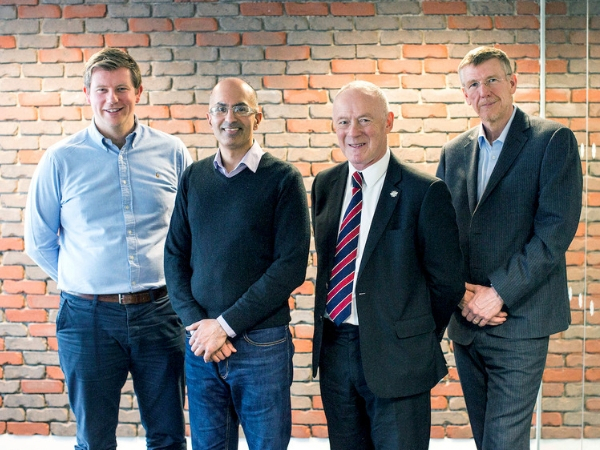 Sir Richard Leese, Deputy Mayor for Business and Economy said: “This is a remarkable milestone for the Northern Powerhouse Investment Fund – with £25m invested over two years, and 90 investments made. “Business and industry have always been at the heart of Greater Manchester and as Deputy Mayor I feel it is important to support the continued growth of key sectors such as IT and technology, as well as to nurture our industrial skills. If your business is in need of finance to help unlock its growth potential, NPIF Maven Equity Finance may be able to help. Contact Maven’s local team today on 0161 233 3500.